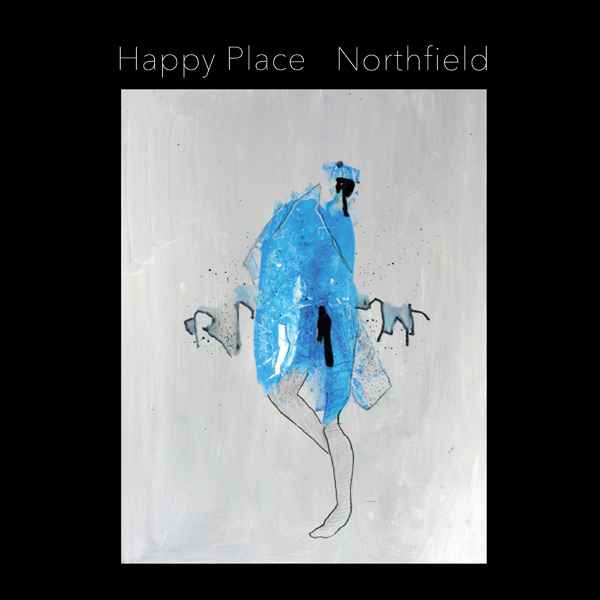 Happy Place is a NYC-based band of two drummers and two guitarists playing a through-composed suite of avant-garde music inspired equally by noise metal and contemporary concert music. Written by acclaimed new music composer and percussionist Will Mason during a state of extreme and protracted sleep deprivation, the music on their debut album Northfield is an exploration and celebration of the altered states of consciousness that asceticism elicits. It is about experiencing exultation through absence. It is about ecstasy through privation. Mason was sleeping four hours a night on average, the result of severe anxiety. “After about four months I started to hallucinate,” he said. “I was literally out of my mind. It was an agonizing and ascetic place to be.” Mason was eventually inspired to use that experience as a window into altered and even elevated states of consciousness. He started to think about how suffering and asceticism were prerequisites for a certain kind of peak musical experience. He spent his sleepless hours writing music in his kitchen: little figures, short snippets, long processes. Their length became meaningless in the agonizing non-moments of restlessness, when time feels unfamiliar, feels changed. The suite of songs that resulted bring to mind cutting-edge rock artists like Lightning Bolt, Tyondai Braxton, and Zs contem- porary concert music giants like Giacinto Scelsi, Gyorgi Ligeti, and Gérard Grisey; and even approximating the controlled musical chaos evident on Captain Beefheart & His Magic Band’s, Trout Mask Replica. The album threads together a series of short, visceral pieces, from the manic, off-center “Fork!” and the hocketing drum and guitar pairs of “Spoon!” to the pounding tom-tom march and spectral guitar chords of “Rupture!” The album culminates in the 13-minute epic “Rapture!”, which spirals a chain of short motives into their outer limits.